Eid is coming up and budgets have to be set aside for food, acidity tablets and some more food. Oh and did I mention gifts? Although gift givers would like to avoid this topic the ones on the possible receiving end won't let anyone forget. This is done directly or otherwise through subtle finger pointing hints followed by loud long sighs. Typical eid gifts range from clothes to umm, clothes. Apparently eid is all about dressing up in new outfits and eating carefully so as not to drop any oil on the flashy duds. But there are a whole lot of other things that can serve as great gifts. Some make more sense than others. Cell phones have never been cheaper or more cost effective to use although paying nothing at all would be preferable. Of course, then we would start wanting to be paid to use phones. There's no end to human wants. And similarly there is no end to talking for some people be they business folk or more typically lovebirds and girls. For those talkative ones prepaid phone cards of various denominations can make for a great gift. It's definitely a thoughtful way of showing how much you value somebody's voice even though the credits may be used to call someone else completely. While we are on the topic of phones do you realize the scope of the modern cell phones? They can be used as music players and still and video cameras. PDAs can act as a personal secretary except that it won't bring you any tea. Of course, you can use it to log onto the internet and download various ways to make tea. All these functions mean that at some point of time memory gets used up. Typical phones come with typical memory capacity of 32-512Mb of memory. As a music player this offers very little space so upgrading to a larger capacity memory is must. Most phones use the same type of flashdisk memory cards that can be available in sizes of one gigabyte and upwards. These can store more than a couple of hundred songs as well as countless pictures. Cost is upwards of 1500 taka base don phone type and memory size. Reading is a dying art. In fact it died and went to heaven. That's why people print big pictures and write short comments like what we do. But once is a while you will find a dying breed who still read and for them books make a great gift. But how about magazine subscriptions related to what they are interested in? Reader's Digest has a little something for everyone and costs a little over a 1000 taka for a year's subscription. Other magazines like Topgear (for car freaks) and Vogue (fashion) go for about 3500 taka for a glossy yearly subscription. And these have large pictures for those who don't really want to read. You can subscribe through the bookstands that cater sell magazines or directly form the importers head offices. Home décor is a hot topic during festivals and other such occasions. Guests are coming and homes need to look the best. A touch of classy abstract art by Picasso on a blank white wall can do wonders to liven up a dull living room. Of course those on a budget that is well below $2,000,000 can opt for simpler cost effective items. Take a gander at the items in Mela on beside Sir Syed Road which is adjacent to Mirpur Road. There you can find all kinds of goodies (and a few baddies) to hang up on your walls. Most of the items are made out of baked earth depicting different animals, birds and abstract human faces. Prices are generally under taka 200. You can also find various wooden masks as well as mirrors with an antique look created by chemically burning the wood to age it. These missed with the right items can add a nice artistic touch to any room. How about some dirt cheap dirt? Baked earth bangles are quite the hip accessory. At Mela check out the varied array of bangles on display. Prices are a bit high at under 100 taka a pair but these can be customized to your choice. You can take a plain bangle and have it coloured to your liking right there at the shop while you wait. While in most developed countries VHS video cassettes are still available on the market, we in Bangladesh seem to have gone far ahead and discarded it completely. Now we only know DVDs. Considering how cheap they are they can make excellent gifts for the movie buff of which there are plenty. You could buy a whole bunch and give it to your eye strain suffering movie loving friend or relative. Or you could get a voucher form the DVD shops for a certain amount and the movies can be bought off throughout a certain interval. What's the way to someone's heat? This never fails as a great gift item. What is typical is to go somewhere carrying a packet full of sweets. What is preferable is to find out what the gift receiving person actually likes and take something accordingly. It could be ice cream or a particular type of cake or even fried shrimp. Some have a preference for hot chill infested food that would make your brain shutdown in protest. By now my girl should know what to get me. 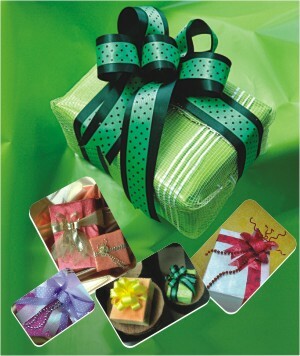 After all, hints can also come in as many varied forms as the gifts themselves. Such thoughtful matching of gifts with the person's tastes adds to the whole experience. You see, the saying that “it's the thought that counts” wasn't said in vain.